François Legault hadn't even delivered his victory speech after Monday's Quebec election when he received a congratulatory phone call from Ottawa. It was federal Conservative Leader Andrew Scheer on the line — and he wanted to be the first. ​Legault's Coalition Avenir Québec party doesn't have formal ties to Scheer's party. Conservatives still might have the most to gain from Legault's triumph. Both parties support lower taxes. Both want tighter controls on immigration and are willing to play identity politics for electoral gain. Both would share the view that the new North American trade agreement negotiated this week did no favours for dairy farmers. 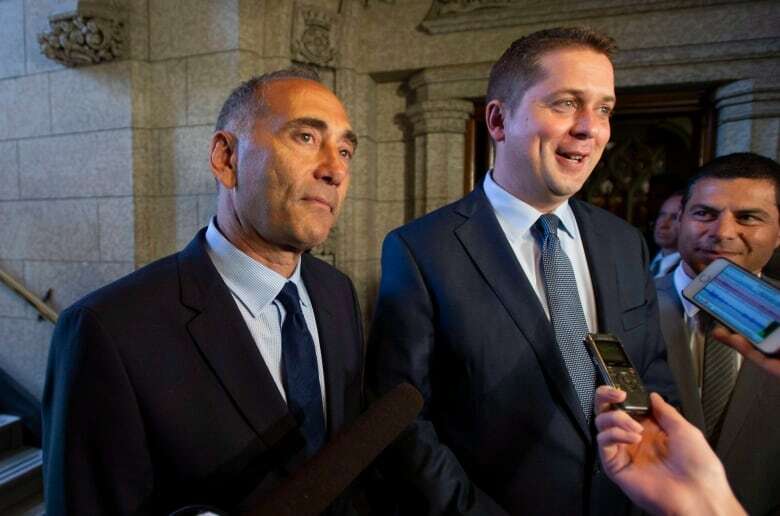 Scheer also would know that a number of federal Conservatives in the province ran for the CAQ, or are working behind the scenes for it — and that Legault's party won convincingly in parts of the province that the Conservatives are targeting in the run-up to the next federal election. "They won't necessarily be door-knocking with us next year but we will be working with the CAQ because they are more closely aligned with us than the Liberals," a senior Conservative aide said Tuesday. 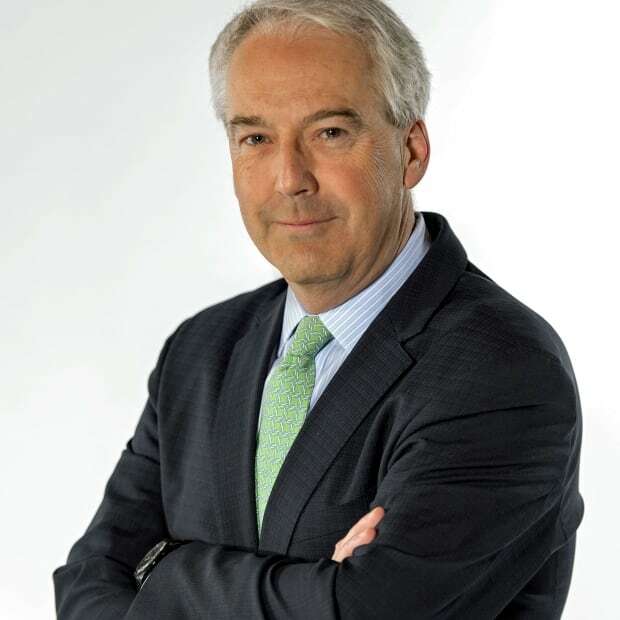 He said the federal Conservative party, which holds a dozen seats in Quebec, believes it can build on its recent byelection success in Chicoutimi-Le Fjord by capturing other seats in the Saguenay region. He also sees opportunities along the north shore of the St. Lawrence and Montreal's south shore, areas that went solidly CAQ this week. Scheer might see a future partner in Legault, but he wasn't the only one trying to get him on the phone. Prime Minister Justin Trudeau also was quick to offer congratulations. As a PM and a fellow Quebecer, Trudeau is just as interested in knowing Legault's priorities — and just as content to work with an incoming premier who won't hold a referendum on sovereignty. 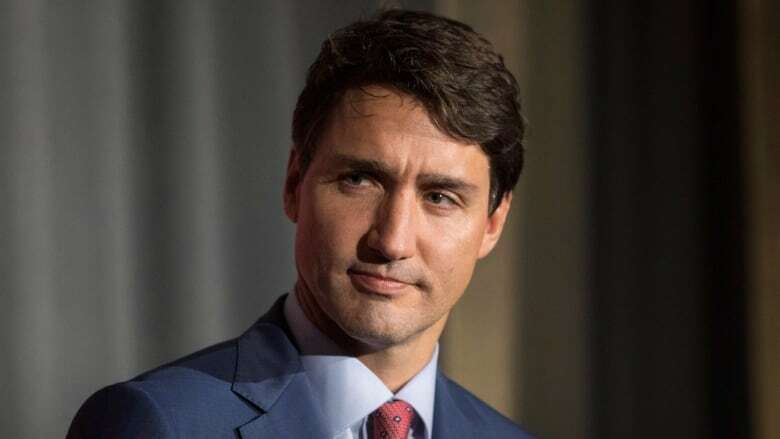 "There are a lot of conversations to be had," Trudeau told reporters Tuesday during a visit to British Columbia. "I'm sure we will have disagreements from time to time, but we will do so in a constructive way that serves the citizens who have entrusted us with responsibilities." Those disagreements won't take long to develop. Legault already is hinting he'll follow the lead of Ontario Premier Doug Ford and use the notwithstanding clause in the Charter of Rights to enforce his plan to ban public servants from wearing visible religious symbols. He wants to cut the number of immigrants in Quebec by 20 per cent and threatened during the campaign to expel those who don't learn French within three years — even though the province has no such power. Liberal MPs, especially those from regions where CAQ candidates picked up seats from the provincial Liberals, spoke Tuesday about their willingness to work cooperatively on issues of shared interest. "It's a new day in our region, of course," said Gatineau Liberal MP Steve MacKinnon. CAQ candidates won three of the five seats in his region, but MacKinnon said he's not worried about a 'change' vote carrying over into next year's federal campaign. "I think people make their political decisions on the basis of jurisdiction. There's a long tradition of that in Quebec. And I think people will decide on the issues and I look forward to presenting our views … in 2019." Even so, the loss of Liberal premiers has become a trend since Trudeau took power just three years ago. In four provinces — B.C., Ontario, New Brunswick and now Quebec — the prime minister has lost key allies on signature files. Whatever alliances existed on health care, climate change, energy and immigration are now gone, fractured along regional and party lines. But the impact of the Quebec election goes beyond the fact that voters elected a party other than the Liberals or the Parti Quebecois for the first time in half a century. 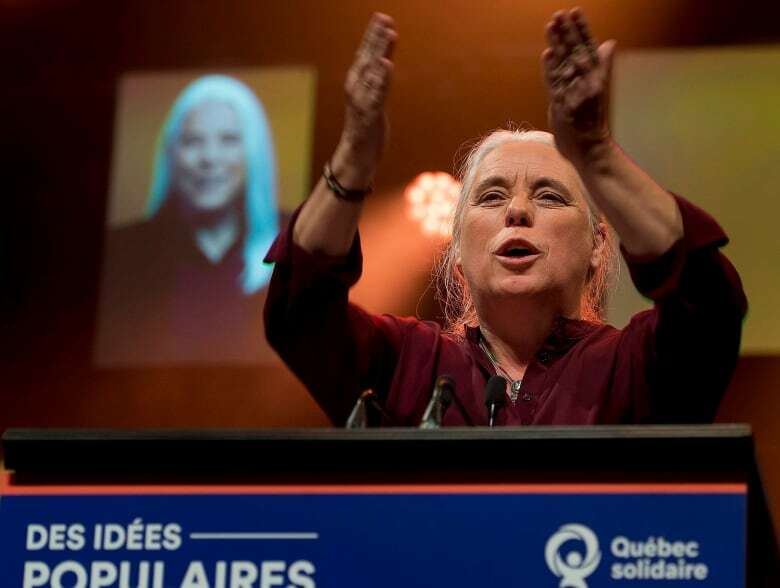 Quebecers also gave the left-leaning Quebec Solidaire 10 seats — triple the number it had going in — while relegating the PQ to fourth place, a result that stripped the party of René Lévesque of official status in the National Assembly. Eight of those new QS seats overlap ridings represented federally by the NDP. One of them is Rosemont La Petite-Patrie, home of NDP MP Alexandre Boulerice. "That's good news for us. There's a strong feeling, especially among young voters, for progressive, forward-looking values," Boulerice said. "That's good news for us. It's not a guarantee, for sure, but it's a start because we are pushing the same environmental and social issues." This is no minor point. Polls suggest federal New Democrats are losing ground to the Liberals. They need to rebuild support, they need volunteers. They know the party's federal 16 seats in the province are up for grabs. Liberals and Conservatives are circling. Young voters, in particular, played a big role in Trudeau's election victory three years ago. Retaining their support may not be a must for the Liberals in Quebec, but it surely will be important. Veering hard to the left on these issues doesn't only help the NDP distinguish itself from the Liberals. It also provides an incentive for people who care about progressive values to work for NDP candidates. The political landscape in Quebec has changed. The CAQ's victory offers an opening to the Conservatives, while the growth of Quebec Solidaire holds out a lifeline to the NDP. And Justin Trudeau has lost another Liberal ally in a provincial capital. It all makes the run up to the next federal election in Canada's second largest province even less predictable than before. Who is François Legault, Quebec's next premier?